One of the biggest events that takes place in the wedding ceremony is the unity candle lighting. First, two taper candles are lit by a representative from each side of the family (typically the mothers of the bride and the groom). The taper lighting symbolizes the love from each side of the family. Then, the bride and groom each take a taper and simultaneously light the unity candle. This represents not only the joining of the bride and groom, but the combining of the love from the two families. A lot of the time the tapers remain burning after the ceremony, as the love within the two families for each other is still in tact. Or if the ceremony was simply done to unite the bride and the groom, the tapers are blown out after the two have come together. Whatever the case may be, we have a great selection of unity candles to choose from. Our most popular are monogrammed or personalized candles. This Elegance Unity Candle is available with a monogram initial in the background of the two first names and event date. The monogram is also available in eight different colors. Another popular piece is our Unity Sand Shadow Box Set. Perfect for outdoor ceremonies or destination weddings, this keepsake kit includes everything you’ll need to create a memorable unity ceremony, as well as provide your home with a unique piece of decorative home decor after! We even have candles to suit specific themes. Perhaps you’re having a fairytale themed wedding and want something to really coordinate with your decorations. If so, we have a unity candle in the shape of a fairytale coach. If you’re hosting a fall or winter wedding, we have the candles to match that too. Even if you’re going green and having an environmentally friendly wedding, we have these Sparkling Eco-Friendly All Natural Beeswax Unity Candles. Each candle is available in five different colors (gold, chocolate, white, pink or platinum), and are the perfect touch to your wedding if you’re looking for something that sparkles! The candles are hand rolled and made of 100% natural beeswax. Not only are they not harmful to Mother Nature, but they burn cleaner and longer than a traditional unity candle. We also have a small selection of unity candle holders to purchase if you’re looking to fashionably display your candles. Some of them are one piece, others are three pieces. Yet each has a large stand to hold the unity candle, and two to hold the tapers. The great quality of the holders makes a great keepsake if you’re planning on saving the candle for years to come. Sometimes the church or venue does not permit the lighting of candles. If this is the case and your heart is set on having a unity candle ceremony, why not use a sand ceremony set instead? Not only is a sand set safer and better for the environment, but it also serves as a better keepsake. Our favorite and most popular is this 4pc. Sand Ceremony Unity Set. Use it the same way you would a unity candle–rather than using two tapers to light the unity candle, pour the sand from the smaller vases into the larger one. Voila! We’re halfway to the weekend! 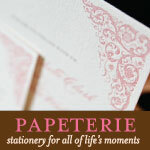 Check out our website for new wedding favors, and our deal of the day! A traditional symbol for marriage, wedding bells pop up throughout the ages as a visually inspiring and universal symbol of marriage. From ringing church bells, to a string of bell-like objects attached to a wedding car, to ringing of bells to ward off evil spirits and clinking of glasses or bells to “ring for a kiss” – bells are as traditional as “something blue”. Wedding bell favors will add charming decor to your wedding reception tables as well as being a wonderful keepsake wedding favors for your guests. If you’re not sure about giving a wedding bell as a favor, but want to incorporate them into your wedding, we have several ideas for you! 1) Instead of tossing rice, birdseed, eco-friendly rice puffs, bubbles, wedding wands or rose petals – have your wedding guests ring good wishes to you as you leave your ceremony site. They can bring these bells with them to the reception to echo in the same sentiment as you enter the reception. 2) If you would rather not hear 150 guests resquest you to kiss at the same time, add 2 to 4 bells scattered on each reception table. You’ll stil get the same “chime” without it being obnoxiously loud on your ears. 3) Leave our “mini” ring for a kiss bells at each table setting. These are only 1″ tall so the sound of the bells will be softer than that of our larger, traditional wedding bells. Inexpensive at about .18 cents each, you can afford to put these on your tables in addition to any wedding favors you would like to give your guests. 4) Use bells as your place card holders – rather than buying place card holders or frames, have your wedding bells work for you! Type up on your computer your list of guests and their table numbers. Print on cardstock, and cut out the names in little 1/2″ to 1″ wide strips of paper, about 3″ long. Wrap one end around the bell, and use a glue stick to stick it to the back of the strip – leaving a long strip with the guests’ names fanning out. Alternatively, there are wedding bells such as our Sweetheart Wedding Bells which hold a place card right between the two hearts of the bell. 5) For a traditonal and gorgeous keepsake wedding favor, give your guests Silver Plated Wedding Bells (as shown in picture above) or any of our gorgeous wedding bell favors. These will be cherished for years to come. We’re Having A Wedding Wand Sale! 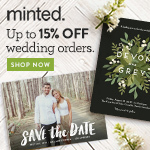 Now through May 31, 2009 when you order your wedding wands you can save 15% off your order! Better than birdseed, lasts longer than bubbles, and is pretty in pictures. Here you can see the bride and groom leaving the ceremony location under a wave of ribbons. Plus your guests will be able to take these home with them as a nifty reminder of your day! They take 5 to 7 days to print (we offer a 2 day rush fee if you need them in a hurry), so order these in advance of your wedding. Use Coupon Code: wands09 to save 15% off. Wedding wands are also great for Graduations, Sweet 16 parties and other events when you want to throw your hands in the air and dance! It’s a great celebration tool and so much fun! Visit our Wedding Wands page for more info! The Wall Street Journal article, “Wedding Rings: ‘Something Old’ Becomes Something New” reports that brides are fulfilling the “Something old” bridal adage by transforming old jewelry from family and friends and sending it to eco-friendly jewelor greenKarat to turn into brand new wedding rings. Eco-friendly weddings are all the rage right now, and greenKarat’s services provide couples with not only a great story about their wedding rings, but an environmentally friendly alternative. Make your wedding even more green with Personalized Eco-Friendly Wedding Favors. Decorate your reception area with star décor, white lights (stars), black and silver table linens, or even hanging planets. If your reception area has a lot of windows, set up telescopes to let your guests check out the constellations. Serve up whatever food you like, but make sure your wedding cake looks stellar with starry decorations or cake toppers. Finally, treat your guests to a bit of outer space with these great Star Keychain Favors. Your love is as unique and boundless as the universe. Share in the magic by having a celestial wedding day! Luaus are a fantastic reception idea. Tying in the theme to your menu is easy. Talk to your caterer about exotic fish, platters of exotic fruits, or Hawaiian cuisine. Consider having a pig roast as an exciting and unique approach to your reception fare. Drink selection should also be fruity and tropical, served in bright glasses, coconuts, or with small umbrellas. For entertainment, consult with local entertainment companies about hiring hula dancers or fire performers to give a one of a kind performance on your wedding day. Be sure to let your guests know about the theme so they can dress accordingly! As for décor, rent some tiki torches and break out the grass skirts. Decorate your venues with tropical flowers, seas shells, palm fronds, or Hawaiian tapestries. As a great centerpiece, gold fish bowls will be exciting and interesting. Add on some shells, sand, and flowers,and you’ve got a luau! Tie everything in with some of these exotic Beach Wedding Favors. Your guests will celebrate in a true island paradise. Aloha! Fabulous wine is an essential for the modern wedding. From Cabernet Souvignon to Pinot Grigio, the possibilities are endless for the perfect post-nuptual beverage. While you consider the perfect pairing for your reception dinner entrees, take a look at some of the fantastic wine wedding favor ideas that you can use to tie in your passion for good wine. Great for wine-themed or autumn weddings, or if you and your fiancee met at a vineyard, wine wedding favors are a great way to celebrate your love on your special day. Bottle stoppers are a great favor option. Choose from a wide variety of styles, colors, and materials to tie in your wedding theme. Choose personalized wine bottle stoppers or even make your own decorative corks as a more thoughtful touch. LittleThingsFavors.com features wine bottle stoppers in numerous designs to capture the essence of your wedding day. If you make your own wine, or have ready access to a vineyard, miniature bottles of your favorite wine is an option. Make wine with your fiancee as a special gift to your wedding guests. Serve complimentary glasses during the wedding, or store in small bottles for a great wedding favor. Make them or choose picture frame coaster Wedding Favors from LittleThingsFavors.com for a practical shower or reception option. Choose from printed designs, personalized selections or picture frames to find the one that fits your special day. Get creative and frame wine labels instead of a photograph as a favor. No matter what type of wine wedding favor you choose from LittleThingsFavors.com, your guests will fully enjoy their wine experience. Cheers! In The Examiner’s article, “I heart geek weddings”, self-described “geeks” are expressing their geek pride by engaging in geek themed weddings, Star Trek cakes and all! Elizabeth Oakes reports that geeky, eclectic weddings are all the rage – after all, don’t you want your wedding day to be as unique as possible? “Geeks are creative, fun, and–nowadays, in our gadget-strewn world–the four-eyed kings and queens of cool,” says Oakes. Creative thinking is necessary to creating a fun wedding that reflects the couple’s personality, and “geeks” ooze personality. They customize everything from their cake (game controllers!) to their wedding favors (mini Gumball Machine Wedding Favors and “We Add Up” Diamond-Shaped calculator wedding favors). You don’t have to be a geek to express your inner geekiness and have a wedding that’s all you! Imagine an outdoor wedding…a beautiful warm breeze, relaxing atmosphere, and your soon to be husband standing next to you. Outdoob weddings are a beautiful event, and at LittleThingsFavors.com, we want to help you easily plan your outdoor wedding. If you have the opportunity to have an outdoor wedding, we definitely suggest it! Garden Wedding Favors are the perfect match for an outdoor wedding – they’re bright and colorful, and will put your guests in a relaxed, happy mood. If you’ve had an outdoor wedding, where was it? What cities would you suggest? Does yours make the list?